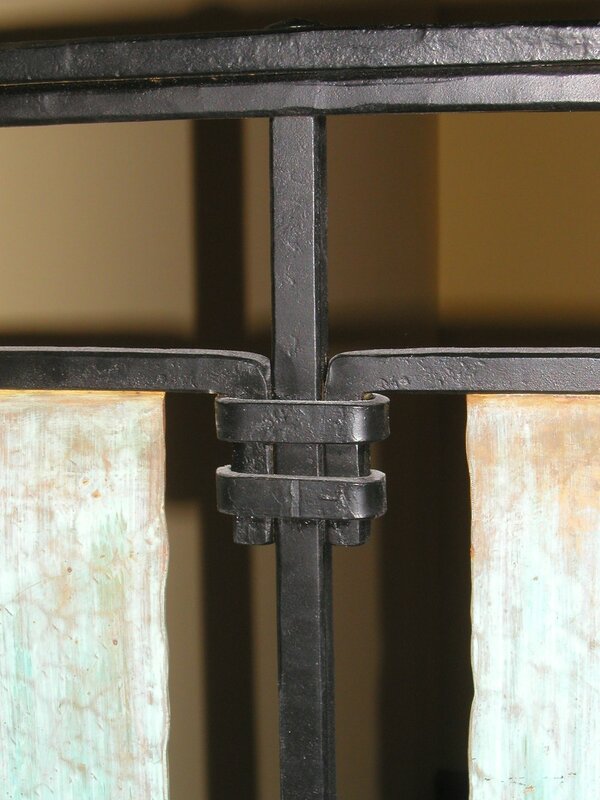 Over the years, we’ve had the opportunity to create beautiful ironwork in a variety of styles. From classical to contemporary, our standard has always been to produce quality items that exhibit our talents and abilities as artisans. Our philosophy has always included the idea that every detail, regardless of size, should be thoughtfully designed and executed. It is no surprise that the Arts and Crafts Movement which encouraged originality, simplicity of form, and the visibility of handicraft, has influenced us greatly and continues to do so everyday. Below are images of an Arts and Crafts style interior staircase railing and fireplace screen that we created over a decade ago. Both pieces are made from steel and hand textured bronze built through the application of various traditional joinery methods. To this day, these are some of our favorite pieces as they present a type of beauty that is found through an emphasis on skill and handmade craftsmanship.